The bill, HB 896 was debated late into the night Monday. Over the lengthy hearing, which took place at the Texas capitol, numerous testimonies were delivered both in favor and against the wide-ranging ban. Originally authored by Rep. Tony Tinderholt (R) some two years ago, the bill has split the pro-life community, with many believing that the life of an unborn child should equate to that of an adult — and thus, anyone involved in the ending of a young life should face murder charges. Thus, those who violate these rights and kill a child, would be subject to the same penal codes that govern the ending of human life in any other circumstance. 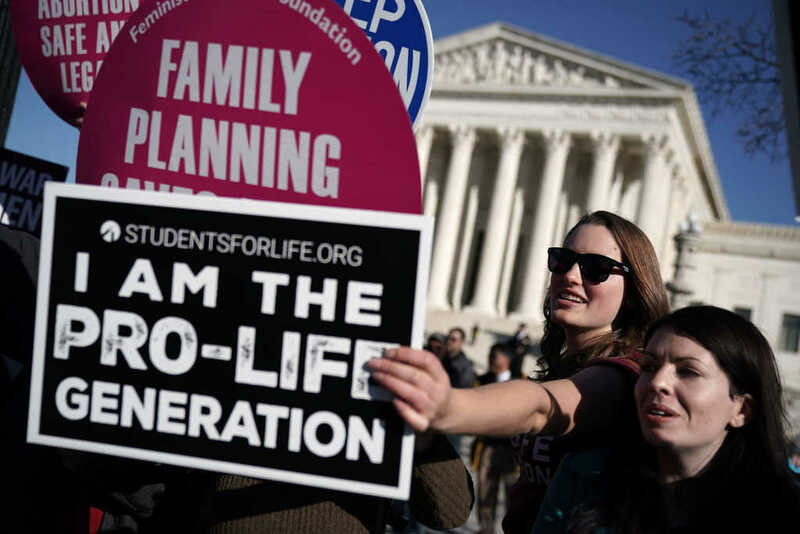 The politicians also cleared up some confusion on the legal parameters surrounding incidents of miscarriage or concerns over contraception issues. There is a lot of misinformation being spread about HB 896, and I would like to clear up some of the confusion. My bill simply accomplishes one goal. It brings equal treatment for unborn human beings under the law. Section 1.07, Subsection 26, of the Texas Penal Code already defines an individual as “a human being who is alive, including an unborn child from fertilization until birth.” However, Texas law provides two exceptions to homicide for a mother or a medical professional who performs an abortion. The 5th and 14th Amendments to the U.S. Constitution guarantee due process of law to take an individual’s life, and as previously mentioned, an individual includes unborn babies in Texas statute. Some think we should exempt mothers, but that would inherently treat unborn children differently than other people who are murdered. Other sections of Texas code already define what an abortion is. This definition makes it very clear that an abortion does not include contraceptives, miscarriage, or removal of an ectopic pregnancy. We also have protections for women in the case of a medical emergency or if they are coerced or under duress. None of those instances would result in any penalties whatsoever. Finally, we trust prosecutors and juries to show deep sympathy toward women, many of whom are lied to and manipulated into getting abortions. Men who assist or compel a woman to have an abortion would be subject to severe punishment with Texas’ law of parties, which is currently in statute. Equal protection, equal treatment, and equal love is a must for all men and women, whether in the mother’s womb or as a member of society. In theory, under HB 896, women could potentially face the death penalty if they were convicted of abortion-related murder. Out of step with scripture? Pastor Dickson told Faithwire that any pro-life person of faith who is insisting that “men and women should not be prosecuted for the murder of their unborn children,” is “out of step with scripture” on the issue. Jack Graham, the pastor of Prestonwood Baptist Church, has come out in public support of Leach’s position. “I support Rep. Leach 1000 percent. He is a caring and courageous congressman who is leading Texas citizens with grace and truth,” Graham tweeted, quoting the Chairman’s statement. Pastor Dickson, however, sees this type of rhetoric as the pinnacle of hypocrisy.